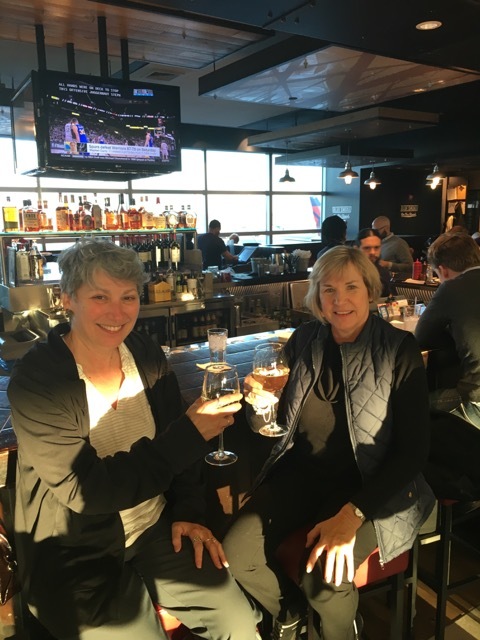 Many months ago Judy and I decided to start our six-month adventure in Turkey and developed an itinerary to work our way across Europe. So, we flew from Philadelphia to New York, New York to Paris and then Paris to Istanbul. We discussed the recent bombings and unrest in the world but decided that fear was not going to stop us. We’d be mindful and hope for the best. Besides, who can predict when or where the next violent rampage might happen in the United States. We arrived and settled in, eager to get going the next morning. 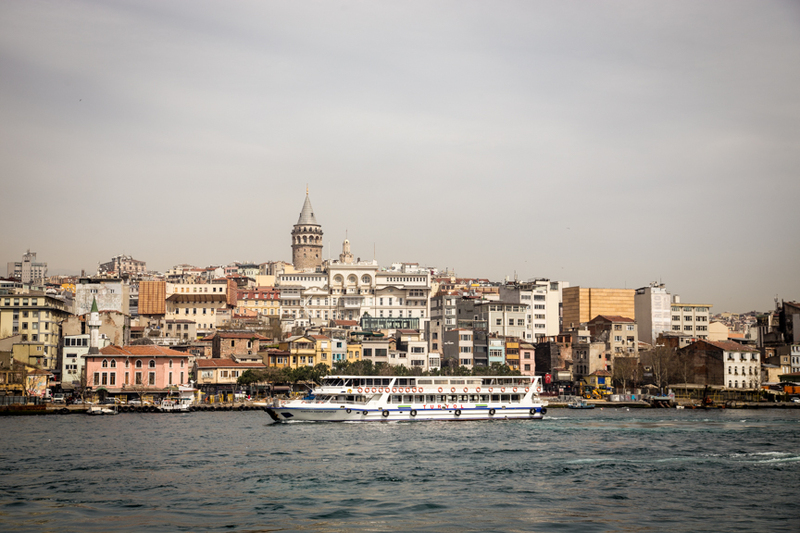 Since the sun was shining, we chose a tour of the Bosphorus that would acquaint us with the city. However, by the time we reached the boat dock, the clouds had rolled in. 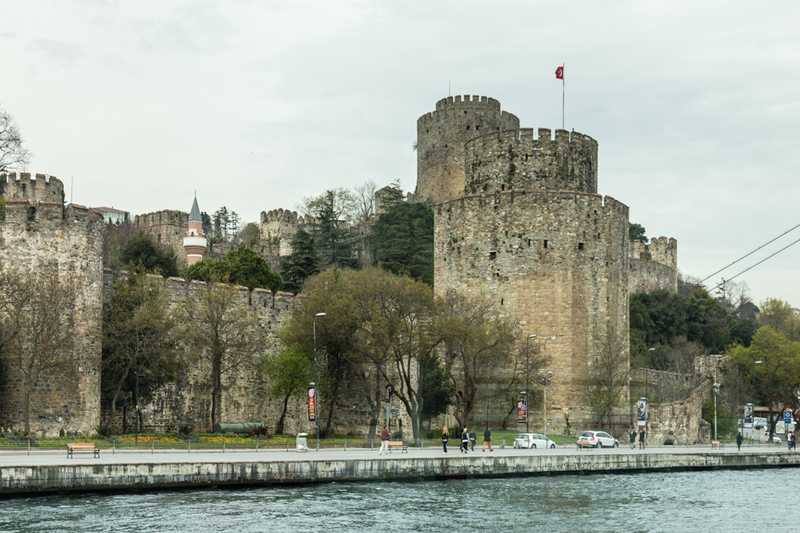 We started at the Golden Horn and then cruised close to the European side of Istanbul. 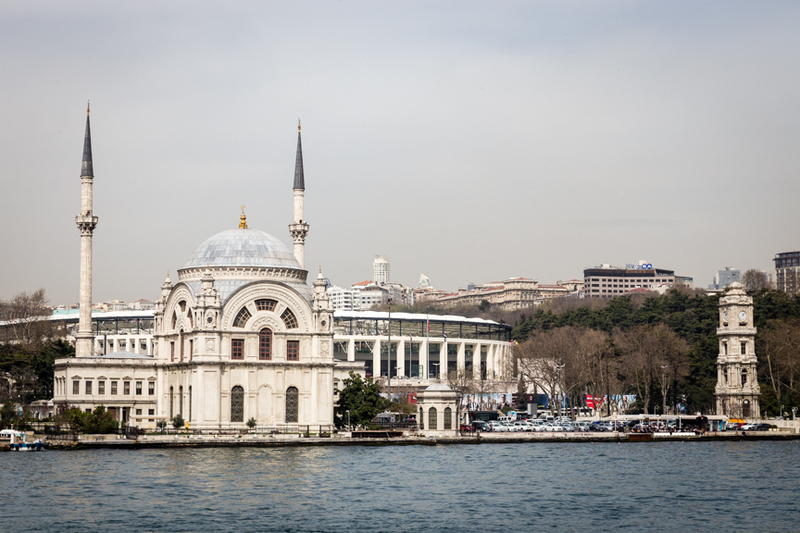 The city is split between two continents, Europe and Asia. We passed by many mosques, impressed by the sheer number. Our guide said there were 3,091 in the city, in addition to 50 churches and ten synagogues. We also passed by a number of palaces and stopped into Kucuksu, a baroque gem built as the 4th palace of the Sultans. 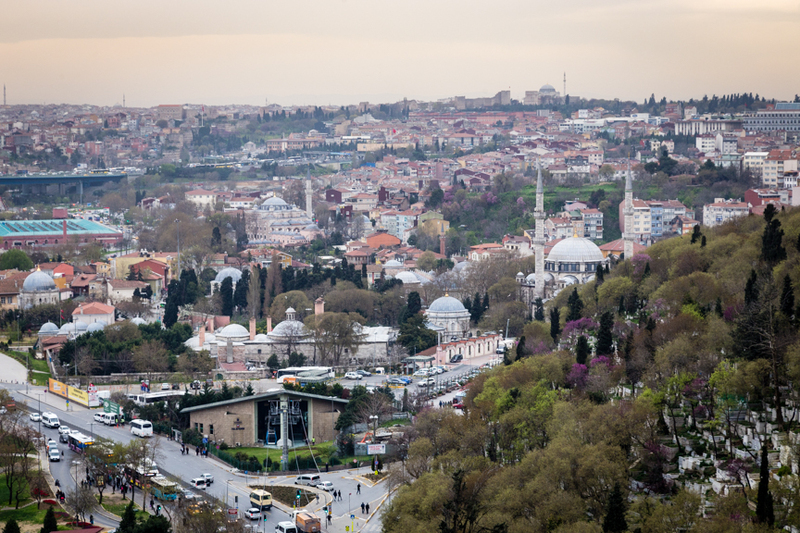 Kucuksu is tiny compared to the Topkapi or Dolmabache Palaces and was used only as a hunting lodge. You’ll see no bedrooms, just ornately adorned parlors for entertaining and kitchens in the basement. 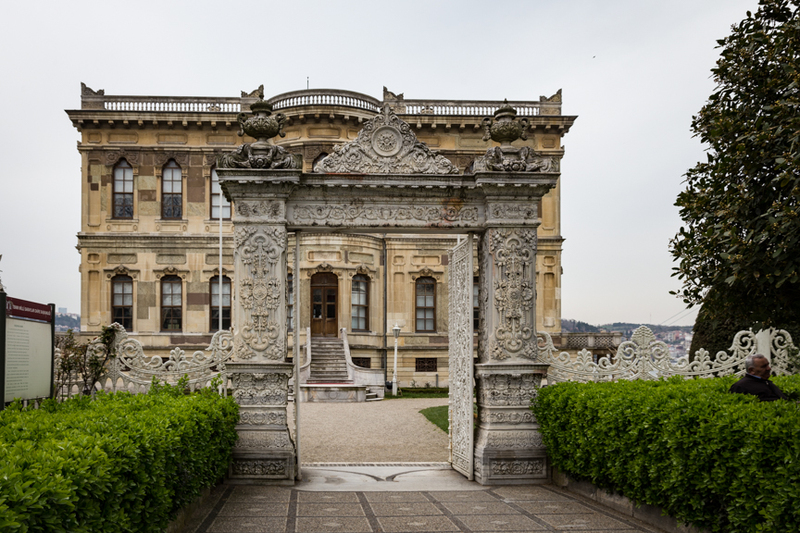 A grand exterior staircase stands just feet from the water, reminding me of Venetian palaces. 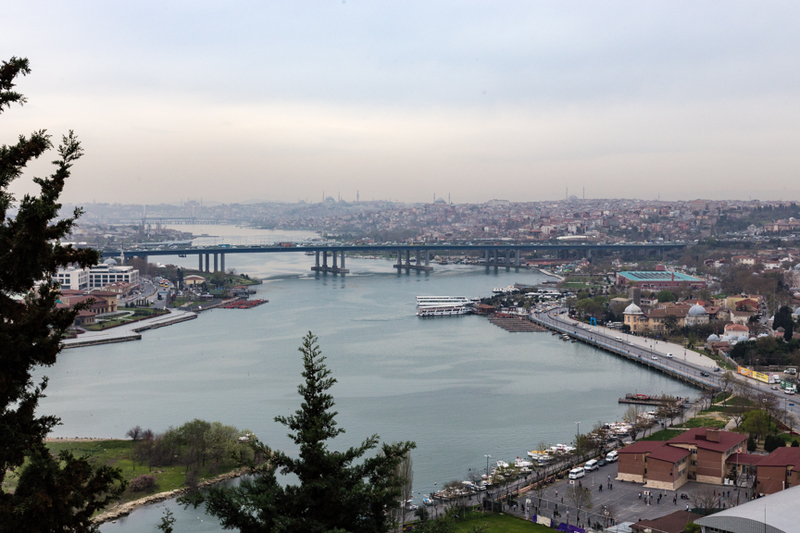 Eventually, we returned to the dock and boarded a bus for Pierre Loti Hill, named after a famous poet who lived and worked in the area. The views from the hilltop are a photographer’s dream when the sun shines. Unfortunately, the weather did not cooperate for us. A cable car brought us down the hill, hovering above one of the largest cemeteries in the world. Then, returned to the bus which became snarled in one of Istanbul ‘s traffic nightmares. We learned that an average commuter spends 125 hours per month in their car. Still somewhat jet lagged, we finished our night early to prepare for a jam-packed schedule the next day. Disclosure: My trip to Europe is self-funded unless otherwise noted. You go girl, wish I was along! So delighted to tag along. Friends in Istanbul is a fine concept.